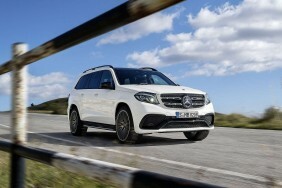 Great Mercedes GLS-Class car Leasing & Contract Hire Deals. Our Mercedes GLS-Class Lease Deals. If you're in the unusual position of wanting a huge 7-seat super-luxury SUV that can climb the lower slopes of Snowdon, then stop by Sainsburys on the way to an evening at the Ritz, then you won't be disappointed with this one. But then, that much we already knew about this Mercedes. 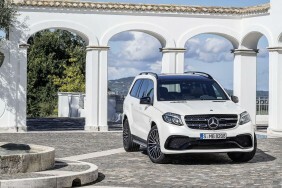 The thing that's changed with this GLS model is a broadening of its appeal. Now it reaches out below its price point to an Audi Q7-class customer. And above its asking figure to lower-order Range Rover buyers. These people may not necessarily need this car's huge size or ultimate off-road prowess but hey, they didn't really need a big SUV in the first place, so why not buy one that really ticks all the boxes? This GLS does and manages to do so with a more dynamic personality than its GL-Class predecessor. True, it's not quite the all-round proposition a Range Rover can be but in many respects, it offers far more car for much less money. Which means that in your SUV search for the biggest and the best, you shouldn't overlook it.